Earn $11.25 in Rewards credit (1125 points) What's This? 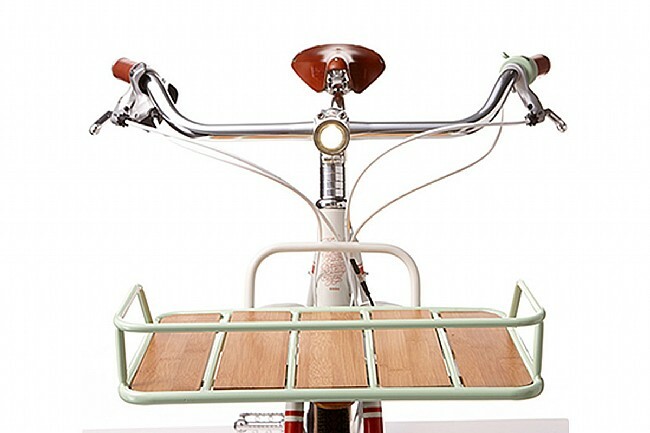 Faraday's detachable, frame-mounted front rack makes it easy to carry up to 25 pounds of gear and groceries. Because the rack is rigidly attached to the bike’s frame, heavy loads won’t make it awkward or unstable to steer the front wheel. And an alternate headlight mounting location beneath the rack keeps your headlight unobstructed by cargo. Rack dimensions: 12.5″ deep x 17″ wide x 3.5″ tall including the rack fence. Rack weight: 5lbs.